This is one of my most popular creations for some time. I have created them from a cast of a small UK Ammonite. 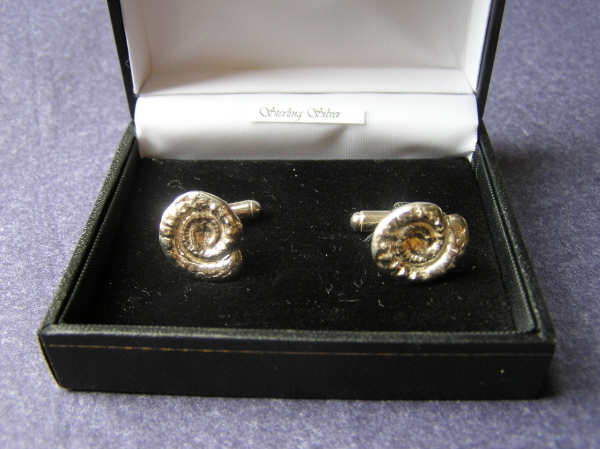 The Ammonites are then cast in solid silver and mounted on solid silver cufflinks. There is a good weight of silver here and they will last a lifetime!